Been collecting these for a while. 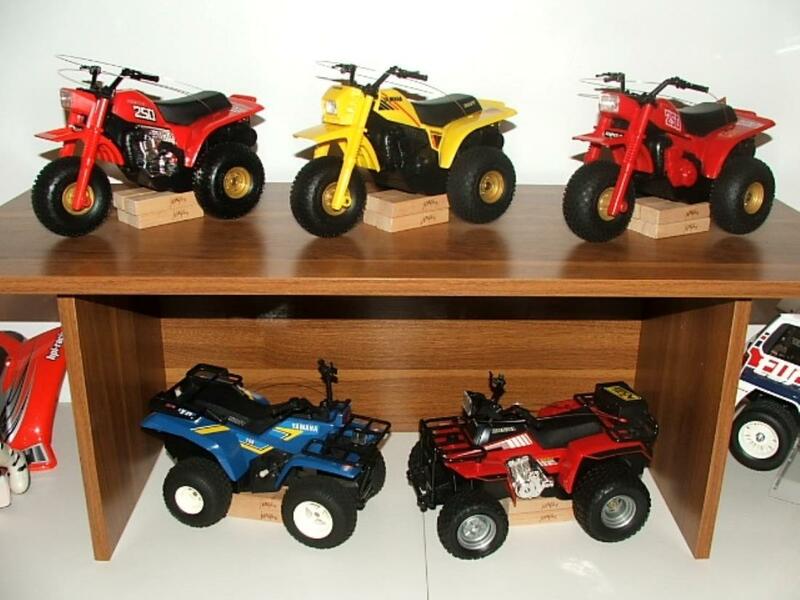 I just love 3 and 4 wheeler RC's as long as they look almost realistic. All are around the year 1982. All 5 are in mint or near mint condition with remotes, manual, and original boxes. Best use of Jenga blocks that I have seen in a while. Maybe one day I can stop over and see your collection on my way to Ohio. Had a bag of the blocks just sitting around so I thought I will use them to keep the tires from getting flat spots. They work great! Very cool and unique! They look fun! Plus l see the tail end of a HTC! My favourite Tamiya fun runner these days!